Gravel, dirt-road and double track-exploring-longer touring-44mm tire clearance. 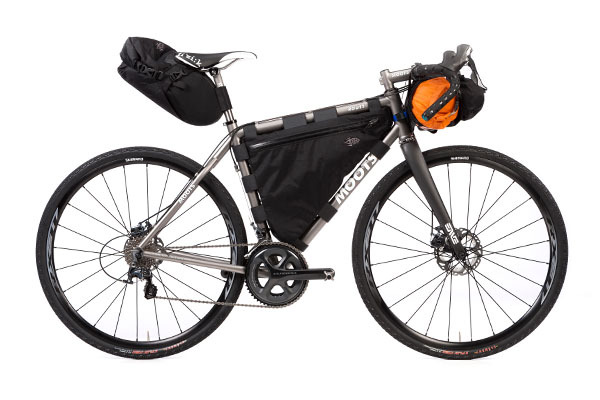 More Choices, More Fun-Building off the Routt, we added longer chain stays to provide a stable platform and the compatibility for 45mm wide tires, opening the door to more and more mixed-surface miles. Durability-Designed and built to go capably where the roads get progressively rougher, the Routt 45 will perform for a lifetime. Versatile-23mm skinny tires to 44mm knobbies, paved road to rough two-track, this is the uber multi-tool of bike designs equipped with disc brakes.